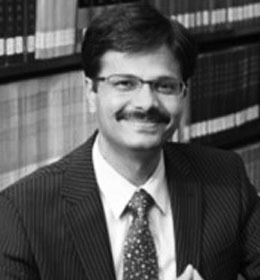 Professor Surya Deva is the Vice Chair of the United Nations Working Group on Business and Human Rights. He is an Associate Professor at City University of Hong Kong’s School of Law and a member of the executive committee of the International Association of Constitutional Law. He is also one of the founding Editors-in-Chief of the Business and Human Rights Journal, and is a member of the editorial board for the Netherlands Quarterly of Human Rights. Professor Deva has spent 20 years researching the intersection of business and human rights, with a particular emphasis on corporate accountability and strengthening access to remedy for victims. Sheung So is the Chair of Electronics Watch based in Hong Kong and the former Chief Executive of the Labour Education and Service Network. She has extensive experience working on labour issues in China, including labour dispute hotlines and support services, empowerment program design and execution, labour rights and worker representation training for workers and Corporate Social Responsibility projects with companies. Sheung So will speak about Elecronics Watch’s worker-led model for addressing labour rights abuses in the electronics industry and its applicability to Australia. 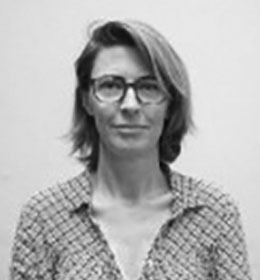 Sandra Cossart is a lawyer and the Director of French human rights NGO Sherpa, which uses litigation and advocacy to advance the rights of communities impacted by economic crimes and challenge new forms of impunity linked to globalisation. Sherpa has been at the forefront of some of the most important milestones in corporate liability for human rights abuses in Europe, including the creation of the new French ‘Duty of Vigilence’ law, passed in 2017 which requires large French companies to undertake mandatory human rights due diligence in relation to their activities. Sandra has previously worked for the Business & Human Rights Resource Centre in the UK, in private practice and as a legal consultant to companies. Professor Florian Wettstein is the Director of the Institute of Business Ethics at the University of St Gallen, Switzerland. He is a member of the executive committee of the International Society of Business, Economics and Ethics, and Editor-in-Chief of the Business and Human Rights Journal. Professor Wettstein has been centrally involved in the development of the Swiss Responsible Business Initiative, a new legislative proposal which, if passed, will require Swiss companies to undertake mandatory human rights due diligence in relation to their business activities. Cristina Tébar Less is Head of the Responsible Business Conduct Unit of the OECD. She oversees work related to the implementation of the OECD Guidelines for Multinational Enterprises and the related grievance mechanism, the Network of National Contact Points; as well as the development of due diligence guidance for responsible supply chains. She has a broad ranging experience in trade, investment and environment issues, and has worked in particular on the links between business and climate change. Dermot O’Gorman is the Chief Executive Officer of World Wide Fund for Nature Australia and is a member of Australia’s C20 forum. Dermot has more than two decades of experience at the WWF, and in conservation and sustainable development. He is also a board member for the Australian Council for International Development. Dermot will speak about WWF’s exciting new use of block-chain technology to help stamp out illegal fishing and forced labour in the Pacific Islands’ tuna industry. Emily is the Coordinator of the Canadian Network on Corporate Accountability (CNCA), a coalition of civil society organisations and unions working to ensure that Canadian mining, oil and gas companies respect human rights and the environment when working abroad. Emily will speak about CNCA’s successful campaign in Canada to establish a new Ombudsperson for Responsible Enterprise to investigate and report on alleged abuses by Canadian companies operating overseas. Prior to her role at CNCA, Emily has worked extensively in Latin America as a programme officer, human rights accompanier and international observer. 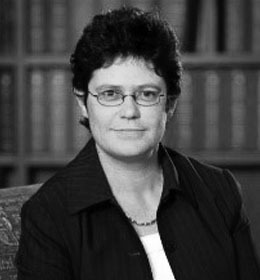 Justine Nolan is an Associate Professor and Associate Dean in the Faculty of Law at UNSW Sydney. Her research focuses in particular on corporate responsibility for human rights and modern slavery. She is a Visiting Professorial Scholar at NYU's Stern Center for Business and Human Rights and editor of the Australian Journal of Human Rights, and the Business and Human Rights Journal. She has co-authored The International Law of Human Rights (OUP, 2017) and Business and Human Rights: From Principles to Practice (Routledge, 2016). Professor Nolan has worked for prominent human rights initiatives in the USA and with the United Nations and serves as an advisor on a number of panels including the Australian Government's Multi-Stakeholder Advisory Group on Business and Human Rights. Dr Ruth Saovana-Spriggs is a linguist and socio-political scientist and founder of the Bougainville People’s Research Centre. 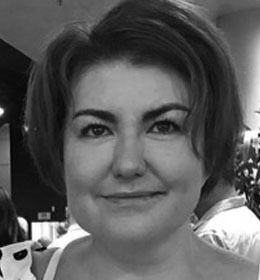 She has previously worked as a lecturer of linguistics and Pacific Island studies at the Australian National University’s College of Asia and the Pacific. Dr Saovana-Spriggs will speak about the legacy of Rio Tinto’s Panguna mine for the people of Bougainville. Professor Sarah Joseph is the Director of the Castan Centre for Human Rights Law and a professor of law at Monash University. She has published numerous books and articles on corporate accountability, human rights and economic globalisation, including Corporations and Transnational Human Rights Litigation, Human Rights Translated: A Business Reference Guide and The World Trade Organisation and Human Rights: Interdisciplinary Perspectives. Keren Adams is Director of Legal Advocacy at the Human Rights Law Centre. 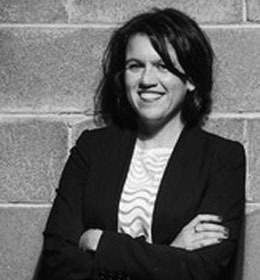 Keren has over 15 years’ experience working on corporate accountability issues as a human rights lawyer and advocate in Australian and internationally. She was previously a partner at UK law firm Leigh Day, where she litigated numerous landmark human rights cases, including the UK’s largest-ever group claim against oil trader, Trafigura, on behalf of 30,000 people exposed to toxic waste dumping in the Cote d’Ivoire. Keren was also previously a voluntary director of the UK Corporate Responsibility Coalition, promoting stronger regulatory frameworks and improved access to remedies for individuals harmed by UK companies globally. Dr Marshall is a cross-disciplinary scholar based at RMIT University who has researched and worked in corporate accountability for 20 years. Her research has informed labour law reform in several countries and the policies of the International Labour Organisation regarding informal and precarious workers. In 2016, Dr Marshall and her team published 20 reports on access to remedy when communities and workers experience human rights breaches at the hands of transnational business. Her books on corporate accountability include Fair Trade and Corporate Accountability; Experiments in Globalising Social Justice (Ashgate, 2010); and Labour Regulation and Development (2016). Vanessa She is a business and human rights expert and consultant, and has worked with the Institute for Human Rights and Business, the Global Business Initiative on Human Rights, and the Harvard Corporate Social Responsibility Initiative. She is the Chair, Human Rights Leadership Group, Global Compact Network of Australia, which brings together some of Australia’s leading businesses and other organisations to advance corporate sustainability and has advised Australian businesses from the banking, telecommunications, retail and energy sectors, and civil society organisations. She has also held advisory positions with the Australian Attorney-General’s Department’s Supply Chains Working Group, the Law Council of Australia’s Business and Human Rights Working Group and the International Bar Association’s Corporate Social Responsibility Committee. Andrea Maksimovic is the Associate Director of International and Civil Society at the Australian Council of Unions. She has worked for and with trade unions in Australia and in Brussels, campaigning on labour rights in supply chains, free trade agreements, and corporate accountability for 20 years. Andrea’s recent work at the ACTU has focused on migration and workers’ capital. Brynn O’Brien is the Executive Director of the Australasian Centre for Corporate Responsibility, which aims to improve Australian-listed companies’ performance on environmental, social and governance (ESG) risk indicators through a combination of research, private engagement, shareholder resolutions and high impact media. ACCR has been involved in high-profile shareholder resolutions targeting some of Australia’s biggest companies to improve their human rights and environmental standards, including Qantas, Woolworths and BHP. George Robertson is an Organiser with the National Union of Workers. George works on the union’s Fair Food campaign, which aims to end exploitation, improve conditions and empower workers in Australia’s fresh food supply chain. Allan Mogerema is a community leader and artist from the Paga Hill community in Port Moresby, PNG. He will speak about his community’s campaign to pursue justice after Australian developers forcibly evicted them in 2012. Millicent Shungube is a representative from the Greater Phola Ogies Women’s Forum in Mpumalanga Province, South Africa. She is currently leading a women-led social audit of a mining project run by Australian mining company South 32 which is impacting on her town.